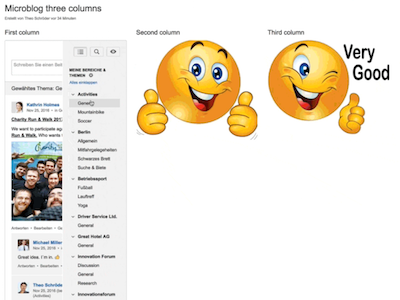 In large Confluence instances with many active users, where there is a lot going on and the intranet hums with activity, it is not so easy to keep track of the various discussions. 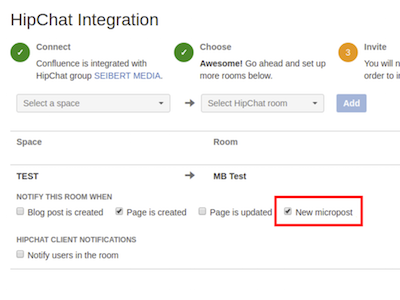 You can now easily subscribe to individual microposts and discussions with Microblogging for Confluence. 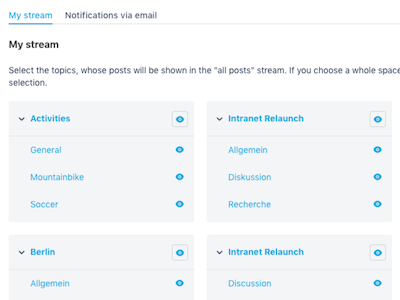 With Microblogging for Confluence, you can extend your company’s wiki and collaboration system with a feature set that offers modern, fast, straightforward social media functionality within Confluence – with timelines, comments and likes, topics to subscribe to, unread post indicators, and more. 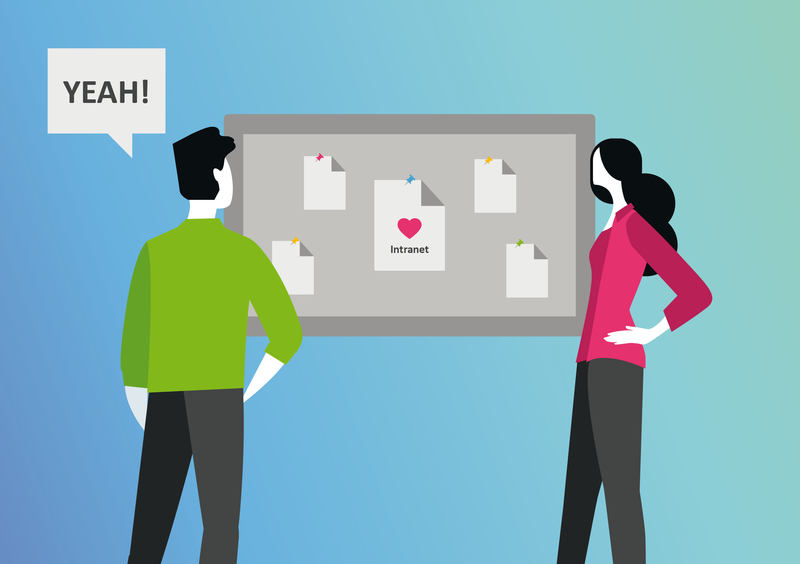 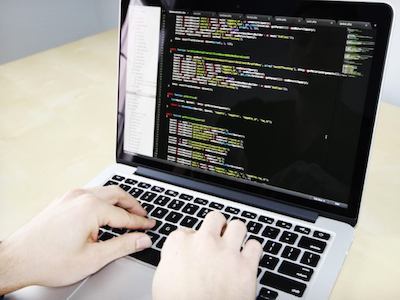 Microblogs let teams rapidly exchange, share and discuss ideas, they are great for internal announcements – the applications of microblogging are diverse. 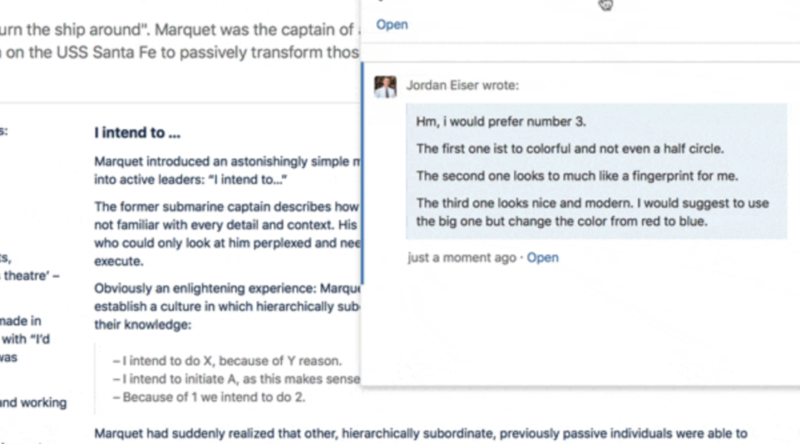 Our development team has just delivered Microblogging for Confluence version 3.1, which delivers a practical Hipchat integration. 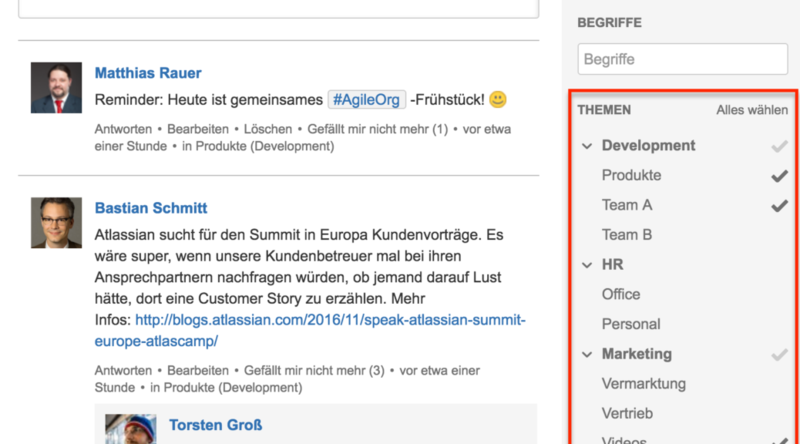 In the new version of Microblogging for Confluence, version 2.5, we’ve added a completely new sidebar for searching, subscribing and filtering. 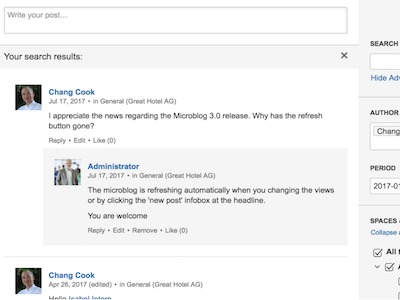 With this new release, Microblogging for Confluence provides additional customization options for your personal microblog timeline, making it much easier to find relevant posts, and enables a new way to stay on top of new microblog posts.